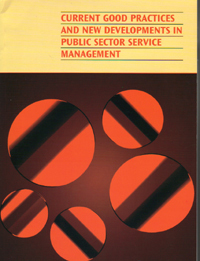 This is an update to the 1996 portfolio and continues to provide a framework for building and sustaining effective public service organisations, based on current good practice and the wide experience of senior public sector managers throughout the Commonwealth. The second edition contains much of the original material, now up-dated together with several new sections. The Portfolio update is designed to be used as a companion resource to the Public Service Country Profiles which, together, can be used as a basis for benchmarking to compare activities and best practices across different national settings. 5.4 E-government – What is it?